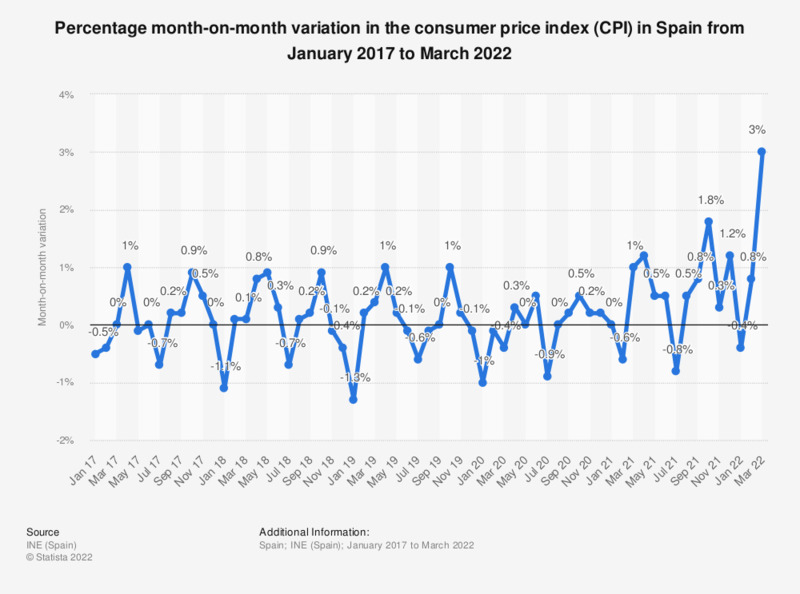 This statistic displays the month-on-month percentage change of the consumer price index (CPI) in Spain from January 2017 to December 2017. January 2016 ranked as the lowest point during the period under consideration, with an inflation rate reaching -1.9 percent. The highest points took place in January and February of 2017, months in which the inflation rate reached 3 percent. Spain's consumer price index has also been analyzed annually. Everything On "Inflation and price indices of Spain" in One Document: Edited and Divided into Handy Chapters. Including Detailed References. Statistics on "Inflation and price indices of Spain"